The University of Miami School of Communication is perhaps best known for its commitment to the values of freedom of speech and freedom of the press. In fact, the current dean of the School of Communication emphasized this commitment in his first official act when he designated the school’s courtyard to the protection and expression of Americans’ First Amendment Rights. Miami takes a student centered, hands-on approach to education and seeks to remain on the cutting edge of global communication. Central to the school’s educational philosophy is the maintenance of a broad platform of media-related facilities and working media outlets. In keeping with the school’s stated mission to focus on the interaction of theory and practice, student run media routinely attract an audience that extends far beyond the boundaries of the university. The University of Miami itself is a private university with no religious affiliation. It was founded in 1925. Over the years, the school has outgrown its humble beginnings inside an abandoned hotel and now occupies a 260-acre campus in Coral Gables, Florida. In recent years, enrollment has been more than 15,000 students. The current School of Communication has its roots in the lone public speaking course that was included in the university’s original 1926 course catalog. Only a year later, however, public speaking was introduced as a liberal arts major. In 1949, the first real communication department at Miami was established. The Radio Department soon became the Radio and Television Department, and the 1960s saw the advent of the Department of Mass Communications. In 1985, what had come to be known as the Department of Communication became the School of Communication. Miami takes an unusual approach to undergraduate education. Students seeking a Bachelor of Science degree in Communication begin by taking courses to satisfy the requirements of their major. However, by junior year they must settle on a second major outside of communication. The Master of Arts (MA) program emphasizes research and requires students to decide upon an area of concentration. MAs are available in Communication for Social Change, Communication Studies, Health Communication, Intercultural Communication, Multimedia Journalism, Journalism, Public Relations and Broadcast Journalism. The school also offers a Masters of Fine Arts in Motion Pictures. A highly individualized Ph.D. program is also available. It requires completion of a master’s degree and an additional 57 credits. Miami’s athletic teams, known collectively as the Hurricanes and represented by the school’s mascot, Sebastian the Ibis, compete in Division I of the NCAA. The school’s football team has brought home five national championships. 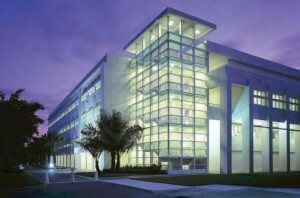 The Miami campus is connected to nearby downtown Miami and surrounding neighborhoods by commuter rail. A large number of students live on campus, including nearly 85 percent of freshmen. Miami offers a number of different options for on-campus living, including both dormitory-style and suite-style residence halls as well as apartment-style units with private kitchens. An additional option, University Village, features seven apartment buildings that are leased on an annual contract basis and are restricted to upperclassmen. Miami consistently ranks highly in lists of America’s top universities. In 2012, U.S. News & World Report ranked the University of Miami 38th in the nation, making it the publication’s highest-ranked Florida university. 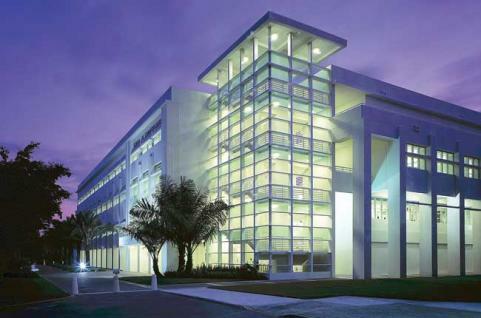 The Academic Ranking of World Universities rated Miami among the top 50 academic institutions in the world.